Fill out the form with any questions or inquiries you have for the sales consultants at Norman Creek . You can also call or chat with us for immediate responses. Take I-65 North to Vietnam Veterans Blvd. Come explore the new Pulte homes at Norman Creek in Hendersovnille. Just minutes from lake access, local parks, the Shops at Indian Lake, come see why so many call it home. The life you want to live is waiting for you at Norman Creek . Explore this community and see for yourself. Bennett offers a convenient single-story layout, with an open kitchen, Pulte Planning Center®, and extra garage storage bay. Highlights of Mercer include a Pulte Planning Center®, upstairs loft, and a large Owner's Suite with naturally lit sitting area. Stonebrook features open gathering spaces on both floors, a roomy Owner's Suite, and an indispensable Pulte Planning Center®. The open concept Continental embraces traditional features like a formal dining room and butler’s pantry and offers organization and convenience. 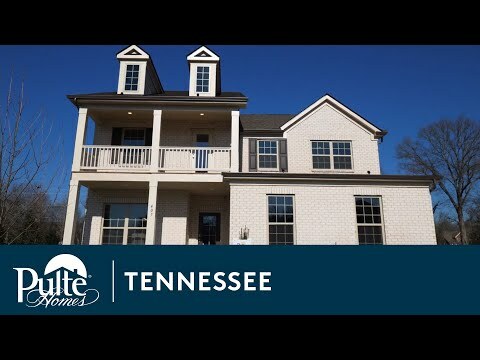 Norman Creek by Pulte is located in the fast-growing Hendersonville. Explore all the shopping and dining found at Indian Lake Shops, less than 3 miles away. With easy access to local marinas and parks, it's easy to stay active and stay close to home. There's something about the water that makes you feel more alive. Experience everyday living at Norman Creek in Hendersonville. From the exhilarating openness of nearby Old Hickory Lake to the crystal blue water and soothing shade of the neighborhood pool, Norman Creek is for families who want more of everything. More comfort, more adventure, more life. You'll also get more choice with flexible interior features, one and two story floorplans, and more. Welcome to Norman Creek. Welcome home! Buy Your Dream Home & Sell Your Old One, Hassle Free! Opendoor is a new service that can help you sell your home at fair market price with none of the hassles and headaches of traditional home selling. Sell now, close when it’s best for you. Pulte Smart Home lets you make your home exactly as smart as you want it to be, because when your home gets smarter, life gets better. $2,000 Incentive for USAA members! * Must be a USAA member & provide member number by purchase agreement effective date. Offer valid from 1/1/19-12/31/19. *See sales consultant.